BIO-COR – correction device of human energy field using information extracted fingers with BIO-WELL. These results may help to develop a better quality of life. Biocor uses super Hight Frequency (SHF) in the range Higo-Hertz (4.9 mm (60.12 HHz), 5.6 mm (53,53 HHz) and 7.1 mm (42.19 HHz) of very low intensity (less than 10 mW/cm2). Price 450 EUR. Pre order will be today. Biocor is absolutely safe for any type of patients of all ages. Recommended Use: once a day, preferably before bedtime. You can order one by one or use our Special BIO-WELL Offers. 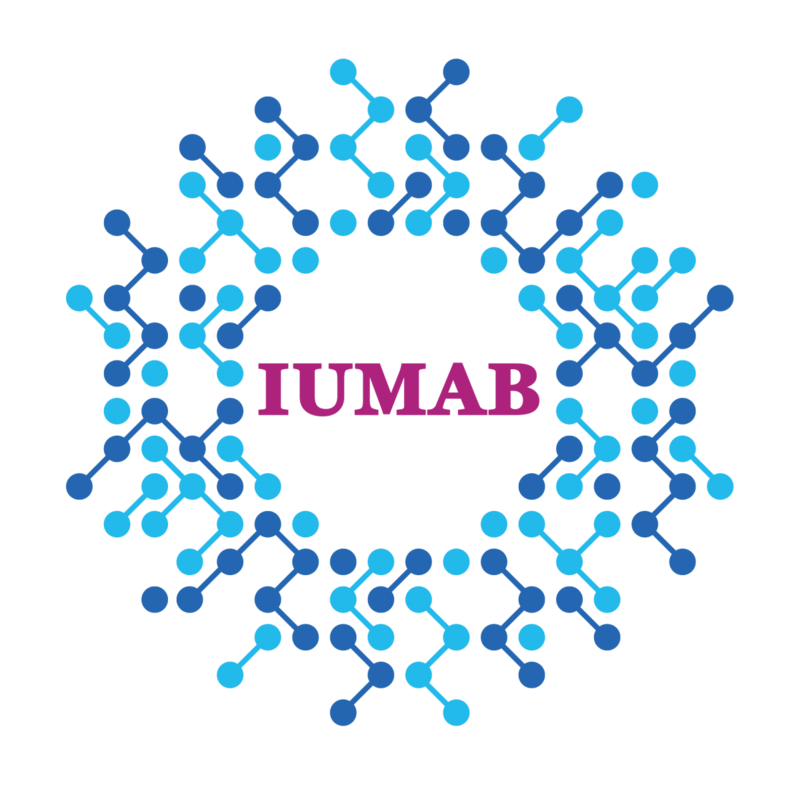 We recommend IUMAB choice. This is BIO-WELL+GDV SPUTNIK (including GDV ACCESSORY PACK). If you are ready to make order for several devices, please use BIO-WELL DEALER CONNECT. This is 5 BIO-WELL cameras with 20% discount. If you want to make special order, please mail to Kirill@Korotkov.org. We will send you invoice with discount. With every BIO-WELL you will have 2 hours BIO-WELL training. BIO-WELL DEALER CONNECT – ORDER NOW! The Bio-Well Distribution Program has been developed to ensure that all persons involved in the representation and sales of Bio-Well products do so with a common understanding of the rules and guidelines necessary to ensure the highest level of professionalism in the global marketplace. The following pages detail operational standards expected of both Authorized Distributors and Authorized Resellers. The key points, which are the foundation of the Program, focus on the importance of the Client relationship as it pertains to education and support. Persons choosing to become an Authorized Distributor, or Authorized Reseller, are required to accept and execute the responsibilities expressed in this document – and will formally agree to do so by signing the Agreement on the last page. Bio-Well’s corporate sta endeavor to build a brand known worldwide for its signi cant contribution to the science of Bioenergetics and the integrity of its customer service. As such, this document will be updated from time to time to allow Bio-Well to adapt as it grows. Program participants (Authorized Distributors and Resellers) will be advised of all changes via occasional email announcements. Any major changes to the substance of the Program will be emailed to Program participants for signature con rmation of acceptance, as deemed necessary by Bio-Well. Accessory Unit: Any Product o cially o ered by BWC which requires the use of a Bio-Well device for operation (Sputnik, Water Sensor, etc. ), or is intended to accompany a Bio-Well device or Accessory (case, cable, etc.). Authorized Distributor (AD): A Person or Company approved by BWC to market BWC products in an o cial capacity and conduct the Level 1 Trainings with adherence to and signed acceptance of the Bio-Well Distribution Program Agreement. Authorized Repair Center (ARC): A person or company designated by BWC as capable of repairing Product to BWC’s speci cations and standards. ARC-repaired Product will be deemed certi ed by BWC and therefore will continue to remain under warranty, if applicable. Repairs performed by a person or company not designated as ARC will void the BWC warranty. purposes of this Program and Agreement, AR refers to persons or entities on the path of AR1, in all points regarding responsibilities to BWC and Clients, unless otherwise speci ed as AR2 in this document. Bio-Well Accessory (Accessory): Any component o ered by BWC, not permanently attached to, or used to directly operate a Bio-Well Device alone or an Accessory Unit. Bio-Well Device (Device): The central product o ered by BWC which is necessary to perform energy scans/captures and of which all Accessories rely upon to function. Bio-Well Expert Sales & Training Distributor (BEST): An existing AD who has demonstrated extensive Bio-Well and EPI knowledge and experience in the marketplace and/or research community, as determined by BWC, and selected by BWC to have earned the BEST designation. Requirements for retaining a BEST designation are solely determined by BWC. Bio-Well Distribution Committee (BWDC): Selected BWC Sta and BEST Distributors who recommend ARs for promotion to Authorized Distributor, as well as o er guidance for the Bio-Well Distribution Program. BWDC is comprised of Bio-Well personnel, as well as select, highly experienced ADs, designated as a BEST Distributor. Bio-Well Distribution Program and Agreement (Program) (Agreement): This BWC document containing de nitions, policies, procedures and guidelines related to the representation and distribution of BWC products – including the last page which is an Agreement requiring signed acceptance for a person or company to become an AD/AR.  Bio-Well Online Attendee: Those people who are unable to attend a Level 1 (Basic) or Level 2 (Advanced) Training Workshop, and o cially register and participate remotely, when such an online environment is available. Certi cates provided for the online participation are not giving any rights, and also are not certifying online attendee as a Bio-Well Specialist or a Bio-Well Trainer. Bio-Well Specialist: Title bestowed to those participants who complete Level 1 (Basic) Training, as stated on the Level 1 Certi cate. Bio-Well Style Guide: BWC-approved logos, fonts, graphics, and verbiage made available to ADs for the promotion and marketing of BWC products. Bio-Well Trainer: Title bestowed to those participants who complete Level 2 (Advanced) Training (attended the course and successfully passed all the required tests), as stated on the Level 2 Certificate. Client: An individual, group, or company which has purchased Product or Training. Client Assignment: A Client is considered to be assigned to an AD/AR once a Product or Training transaction has been completed. If a potential Client contacts BWC directly, he/she will be assigned to an AD by a BWC General Manager based on geographical location and/or area of scienti c or business interest. Client Lead (Lead): A potential Client who has expressed interest in obtaining Product and/or Training, but has not yet been assigned to an AD/AR. Demonstration (Demo): An informational (non-training) session conducted by an AD, or AR with AD approval, for the purpose of promotion and marketing of BWC products. Purchase. An AR must purchase through an AD they are assigned to or from BWC if they are assigned to BWC directly. Distributor Purchase: When BWC products are purchased through an AD. Fee Agreement: An arrangement determined and mutually agreed upon by an AD and AR for the purpose of providing the AR a consistent, reasonable and appropriate fee structure for product sales. Marketing Event: Conference, Demonstration, meeting or other organized setting during which BWC products are to be represented and/or showcased. Mentor: An AD who provides ongoing training and support to an assigned AR. Product: Any item or service sold by BWC including, but not limited to, Bio-Well device, Calibration Pack, Sputnik, Water Sensor, BioClip, Bio-Cor, and any associated components or accessories, as well as Software Subscriptions, listed on the o cial website (www.bio-well.com) or otherwise made available by BWC. New Product: Any Product which has not previously been used by any person or company. Refurbished Product: Any New Product with defect(s) when received by BWC from the manufacturer, or Product which has been returned to BWC for exchange, and subsequently repaired and inspected by BWC sta , or Authorized Repair Center, prior to being repackaged for resale with a “Refurbished” or similar designation. Refurbished Product may be obtained through Distributor Purchase only if the AD received the Product through Direct Purchase. Used Product: Any Product which has previously been utilized by Client(s) and repackaged for resale by an AD. Used Product has not been repaired and/or inspected by BWC sta . Sales Volume Level (SVL): Distribution volume levels di erentiated by the number of Bio-Well devices sold within a calendar year, as explained within the Agreement. Scan (also, Capture): A single image acquired by the Bio-Well Device. Each Scan may be captured from a single nger and metal calibration cylinder or a single interval capture in a timed- mode acquired by an Accessory such as the Sputnik, Water Sensor or Bio-Clip. Technical Support and Guidance (Support): Direct interfacing with Clients to resolve hardware/software issues, and providing information and supervision as necessary. Training: Any organized structure of learning provided to Leads and Clients. Training includes sessions which may be o ered at no cost to a Client/Lead, such as Basic (Introductory) Instruction, or paid events such as a Workshops/Seminars (Level 1, Level 2, Specialized), and Conferences. Training may be o ered online or o ine, depending on the needs of the Client/Lead and capabilities of the organizer. Warranty Period: Period of time, as o cially stated at www.bio-well.com, during which Product is warranted against manufacturer defect. The Device Warranty Period is Two (2) Years from the date of purchase or 150,000 Scans. Warranty Period for the Accessory Units and Accessories is Two (2) Years from the date of purchase. To become an Authorized Distributor (AD), an individual, or group of individuals if representing a company, must begin as an Authorized Reseller (AR) assigned to and under the mentorship of an AD. The purpose of this relationship is to allow time for the AR to obtain the necessary scienti c, marketing, support and sales experience required to qualify for an AD. In an e ort to maintain consistency and impartiality, the Bio-Well Distribution Committee (BWDC) exists to consult, as may be deemed necessary by Bio-Well (BWC), on topics related to Sales and Marketing initiatives, as well as participate in the review of AD/AR disputes which cannot be resolved by the parties themselves. a. AD/AR will organize marketing and promotional e orts using own means. Intent for Product purchase(s) – con rm Product is not being redistributed or otherwise used for non-standard purposes.1. Standard use is deemed by BWC to include subject, substance/material and environmental energy measurement and/or research of the same. AD/AR will not knowingly attempt to poach/steal Lead(s) or Client(s) assigned to, or known to be in process of working with, another AD/AR. Any crossover, whether purchase or support, accidental or otherwise, will be transparently conveyed between ADs/ARs in an e ort to nd a resolution which ultimately bene ts the Lead or Client and includes his/her/its consent. If unable to reach resolution, both parties will present their cases to the BWDC for review, and accept the BWDC’s decision on the matter. If either party is a member of the Committee, he/she will recuse themselves from the Committee’s review process. 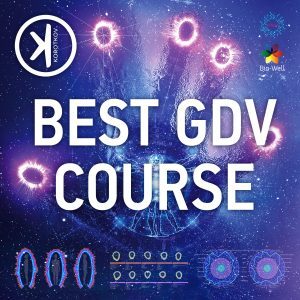 If a Lead directly contacts BWC, he/she will be assigned to an available AD on a rotation basis, taking into consideration any speci c or unique quali cations of the Lead such as research, scienti c or geographic goals. AD must purchase not less than Five (5) Bio-Well Devices per calendar year to be eligible to continue as an AD the following year. AR must purchase, for immediate distribution to Clients, not less than One (1) Bio-Well Device per calendar year to be eligible to continue as an AR the following calendar year. ARs shall not purchase any Device or Accessory intended to be stored as inventory for future sales. ARs must submit a Client order, including Client name, shipping address, contact and payment information, to the AD who will execute a purchase.1. AR2s are exempt from this responsibility as their Leads are sent directly to the AD. Upon receipt of a written explanation, if AD chooses to not renewacceptance of mentorship responsibilities for AR, AD will submit a written explanation to Bio-Well, along with AR’s written submission, for review by the BWDC. BWDC may, at its discretion, reassign AR to a di erent AD, or forego renewal of AR’s Reseller Agreement. f. AR must purchase not less than Fifteen (15) Bio-Well Devices, for immediate distribution to Fifteen (15) individual Clients, as part of the eligibility process for consideration of earning a recommendation to become an AD. i. This requirement is necessary to provide AR a minimum number of Clients for whom AR will learn, from AD, pre-sales marketing and promotion, as well as post-sales activities such as how to provide Introductory Training and ongoing hardware/software support. AD/AR must maintain a detailed and accurate record of purchases, replacements/exchanges, support correspondence, and general communications with Clients, as well as between AD and AR. BWC is not responsible for missing or incomplete records related to business interactions between AD/AR and Leads/Clients. BWC is not responsible for missing or incomplete records related to business interactions between ADs and ARs. Due to the multiple-device restriction of the Bio-Well Software, AD/AR may utilize the Distributor Login when demonstrating or testing devices. BWC reserves the right to update the credentials at its discretion. AD/AR shall not distribute the credentials to any Lead or Client, or anyone notan active AD/AR. Abuse of the demonstrating and/or testing accounts may result in loss ofaccess, and ultimately, removal from the Bio-Well Distribution Program. May only be purchased from BWC warehouses (Estonia/U.S./Hong Kong), or BWCAuthorized Distribution Center. Product quali es as New if unopened and unused, as received from BWC/manufacturer. AD may exchange or sell through their own New Product inventory between eachother, as necessary. From time to time, due to potential nancial or logistical hardship for the Client, BWCmay request New Product be distributed from existing AD inventory rather than through BWC warehouse locations.i. For this scenario, AD will be issued replacement Product or credit toward future purchases. BWC warranties New Bio-Well Devices for a period of 2 years or 150,000 Scans. i. A Device, Accessory Unit or Accessory determined to be inoperable due tomanufacturer defect, will be replaced by BWC at no charge to Client or AD/AR. BWC warranties New Bio-Well Accessories and Accessory Units for a period of Two (2)Years. A Device, Accessory Unit or Accessory determined to be inoperable after the WarrantyPeriod has expired, may be replaced by BWC at BWC’s discretion. Any replacement and/or shipping fees will be determined by BWC and communicated to the Client (through the AD) for con rmation prior to initiating the replacement process. a. AD may purchase Refurbished Product only from BWC, when available. Refurbished Product must be identi ed as “Refurbished” on any packaging and/or Client invoice. BWC warranties Refurbished Product for a period of 90 days from date of purchase. If Refurbished Product is sold to a new Client, Introductory Training is required to be provided by AD/AR free of charge. AD/AR may obtain Used Product for resale. Used Product may be distributed only after AD/AR has thoroughly inspected, repaired and cleaned all components, as deemed necessary by AD. Used Product must be identi ed as “Used” on any packaging and/or Client invoice. BWC does not provide any additional warranty for Used Product. Warranty is calculated from the time of the rst initiation of the Product by the rst User/Client. activated with either a Monthly or Annual Subscription. AD/AR must explain to Clients that multiple devices require multiple, separate Subscription Accounts. AD/AR must explain to Clients that it is impossible to purchase multiple subscriptions within the same Subscription Account (same username/password). c. BWC advises AD/AR to not use their personal/business bank card(s) to purchase subscriptions for Clients. Refunds, partial or full, are not o ered for cancellation of Monthly Subscriptions. i. A cancelled Monthly Subscription will remain active until the date of the nextrenewal period. A prorated refund, based on the number of months used, will be o ered forcancellation of Annual Subscriptions. All cancelled subscription accounts will keep associated scan history on the server fora period of One (1) year from the date of cancellation. i. Clients must use the same Subscription Account credentials if restarting theiraccount. 1. Failure to do so may result in loss of saved Scan History. Bio-Well endeavors to not change pricing on any available Product more than once per year. Bio-Well intends to notify its ADs of price changes by email at least 2 weeks prior toimplementation. 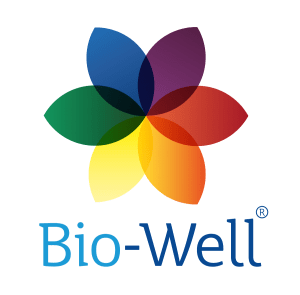 The pricing listed on Bio-Well’s website is considered the o cial Manufacturer’s SuggestedRetail Price (MSRP) – the full retail price before any discounts, not including shipping, taxes orfees. AD/AR may, at their discretion, provide discounts to Leads and Clients. a. Any discount provided will not change the cost of the Distributor Purchase. AD/AR may not charge an amount above the MSRP, unless Product is accompanied by additional products and/or services provided by AD/AR, or includes any applicable shipping, taxes and/or customs fees, and is clearly stated as such in any marketing or promotionalmaterials and/or website(s). BWC Pricing, MSRP or Distributor discount, does not include shipping charges, customsduties, or applicable taxes/VAT. To be sure the latest version is obtained by the Client, software installation les shall not be distributed by AD/AR. AD/AR must explain to Clients the nature of recurring billing. Bio-Well device requires its own software Subscription Account (username/password). At this time, in North America, sales tax is applied only for orders purchased by Colorado residents – including any AD whose residence or business is located in Colorado. Shipping charges are xed for orders sold from and delivered to Clients in North America, not including bulk orders. Shipping charges, taxes and Customs duties vary for orders outside of North America. AD/AR is responsible for all fees in connection with Product transactions, includingProduct costs, shipping, taxes, if applicable. Customs duties and taxes will always be the responsibility of the Client, unlessAD/AR requests otherwise. AD/AR is responsible for collecting any and all agreed upon fees from Clients,and indemni es BWC in any nancial matters between AD/AR and Client(s). Levels may be achieved throughout a single calendar year by aggregate sales or bulk orders.i. Product obtained by Distributor Purchase must be sold to Clients to qualify as actual sales. Level achieved by the end of a given calendar year will be continued through to the following year. subscriptions paid in a year (in average 40 active subscribers in each month of the year) by the Clients related to the AD. Client has bought the device from any other source, but is getting technical and customer service support from this AD. a. Product obtained by AR must be sold to Clients, not held as inventory. purchase, for immediate distribution to Clients, not less than (5) Bio-Well Devices per calendar year to be eligible to continue as an AR the following calendar year. AD will place orders using a BWC Order Form, or the BWC Order Database, as directed by the General Manager.a. Alternative methods of order placement may be possible upon written consent by BWC. Orders must include Client’s full name, shipping address, and phone number. a. AD’s phone number will be used for shipping manifests if none is provided. b. Outside USA: International Priority. AD will compensate BWC for Product, including applicable shipping charges, to be purchased by the following method:i. Direct 100% prepayment by credit card, bank transfer, PayPal, or other form of payment agreed upon between AD and BWC, prior to shipping of Product. Tracking information will be provided to AD when available. Subscriptions may only be purchased through the Bio-Well website. Clients should purchase their own subscriptions. BWC advises AD/AR to not use their personal/business bank card(s) to purchasesubscriptions on behalf of Clients. Subscriptions are not eligible for AD/AR discounts. Following a completed purchase by a new Client, AD/AR will provide between 1 – 2 hours of Introductory Training to Client or its designee(s), at no charge, to familiarize Client with basic operation of Product, including software subscription/activation/navigation, as well as general device care and maintenance.a. This session must, at a minimum, cover all details listed in the Introductory Training Curriculum. AD may o er fee-based Level 1 training, whether in-person or online. a. AD must include, at a minimum, the topics outlined in the Level 1 Training Curriculum. 3. Due to the advanced nature of the material, AD may o er Level 2 training only upon BWC’s written consent, following AD’s own Level 2 Training and testing. a. AD must include, at a minimum, the topics outlined in the Level 2 Training Curriculum. 4. AD/AR is responsible to Client for continued hardware/software support. a. AD/AR is to be the rst point of contact for Clients for all hardware and software Support. AD/AR shall not refer Clients directly to BWC without rst contacting BWC Sta to explain the situation and cause for BWC’s involvement. BWC will communicate with AD/AR during the resolution process. BWC will only communicate directly with Clients as necessary, to allow theAD/AR to remain the main point of contact. AD/AR shall not distribute to Leads or Clients any direct/personal contactinformation of BWC personnel, without prior authorization. v. AD/AR shall advise Client to contact support@bio-well.com regarding Subscription Account issues. BWC provides knowledge and guidelines to AD to enable adequate preparation for marketing, promotion and sales of Product.a. Knowledge resources include both free (manuals, guides) and paid (workshops, seminars, conferences). 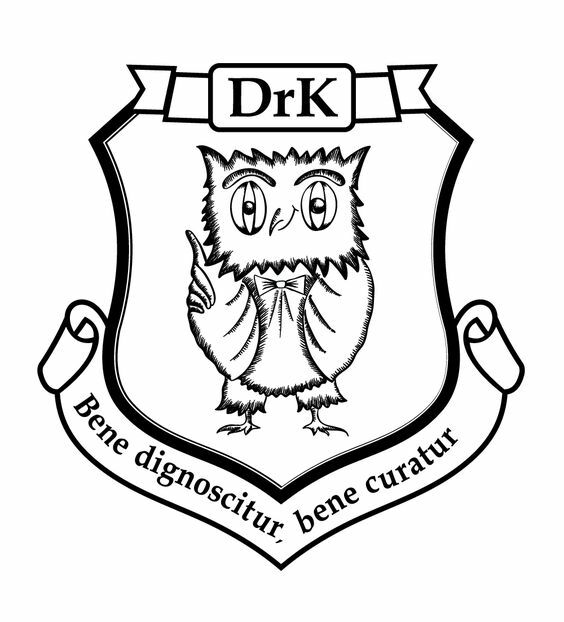 BWC reserves the right to determine which knowledge resources are to be disseminated, the processes of dissemination, and associated costs, if any. AD/AR may utilize any text and/or pictures, including software screenshots, found on the o cial website (www.bio-well.com) for use in marketing materials and/or promotional website creation provided that the copied material is not altered without written permission from Bio-Well. AD/AR may not utilize any picture of BWC sta without written consent from the person(s) depicted, unless Sta images are included in the Bio-Well Style Guide. AD/AR may o er links to BWC resources including, but not limited to, manuals, guides and videos, within marketing materials and/or promotional website(s). AD/AR is responsible for maintaining any links to ensure continued compatibility with the o cial BWC website(s). AD/AR will not host any Bio-Well les (PDFs, videos, etc) on any website(s). AD/AR will not alter any Bio-Well les (PDFs, videos, etc) without written consent fromBWC. BWC encourages AD to attend regional Marketing Events where the promotion of Bio-Well isrelevant. BWC strives to only have One (1) Bio-Well representative at a single Marketing Event, unlessthe event is large enough to support two separate representatives without confusion orcrossover. BWC recommends AD submit a Schedule of Attendance early in the calendar year, whichBWC will use in conjunction with past attendance history to settle any potential crossover issues, if necessary.a. Any AD with a proven attendance history for a speci c event, will be allowed right of rst refusal for that event. AD may host Demonstration sessions, private or public. prior approval by the mentoring AD. We NEVER reference Bio-Well Product as a “medical” device or accessory. We NEVER reference Bio-Well Product as a “diagnostic” in any discussion, training ormarketing information. We do not use the word “aura” when discussing or marketing Bio-Well Product, except todi erentiate and distinguish the terminology. “Electrophotonic Imaging (EPI)”, and Electrophotonic Capture (EPC)” are the approved,interchangeable names of the scienti c basis of the Bio-Well Device. “Gas Discharge Visualization (GDV)” is used only in explanation of the history of the scienti cbasis of Bio-Well Product. Product is to be identi ed, discussed and marketed as “Bio-Well” – not “GDV Bio-Well” or “EPIBio-Well”. “HEF” or “Human Energy Field” are the preferred terms when referencing the full view ofemissions detected by the Bio-Well Device. “Bio eld” also is an acceptable term.  Must be able to fully support Clients’ hardware and software questions andissues. Notice: All the elds marked with * must be completed. Signed this ___ day of _____________, 20___. 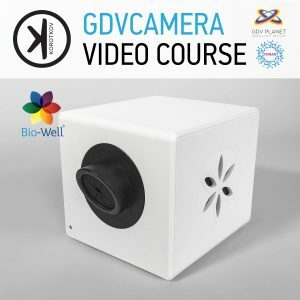 I would like prove the GDVITALIA camera Biowell before ta distributor. It is possibile? Is there in Italy someone that have bought it? Can you say the Price riserved for distributor? Tank you. Best regards. Dott. Giovanni La Malfa ( Aurum ). 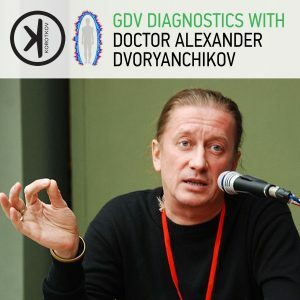 To concern: How can I buy the GDV Bio well system? Is it possible to see energy levels of water drops? we are planning to buy best aura reading machine from your company which can be measure aura as well as we can take pictures of spirit. pl suggest the best machine. This machine require in 4 quentity at india , ahmedabad and will bytake be use to anylyses aura for better health and also spirit picture will help us for tratment. I would like information about products and prices. In Turkey, I’m a clinical psychologist who works on alternative applications. If possible, I want to set price. Thank you for your order.  When you will receive your BioWell and GDV SPUTNIK, please mail to GDVPLANET@gmail.com about BioWell training. I am located in Canada. Would love to connect and chat about purchasing your products. Hello, i”m Jorge Luiz, and I would Like to know if you have some contact in Brasil, São Paulo. I want know more about your product. I m from India. I m interested in purchasing biowell camera. Can u send me detailed information about camera and it’s price also. Hi I am from Singapore and am Interested to sell this. We would like to introduce ourselves as a trading firm mainly dealing into Govt Colleges and Universities in India. 1. 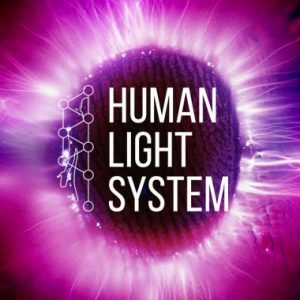 Bio-well GDV Camera and software system to measure & analyze the human energy field. 2. Sputnik sensor and attachment system that affixes to the Bio-well device, to read the energy of an environment. 3. Bio-well water sensor for the testing of water’s response to environment stimuli. 4. Annual software subscription for two years. Kindly send your best offer along with catalog. Looking forward to be associated with you.